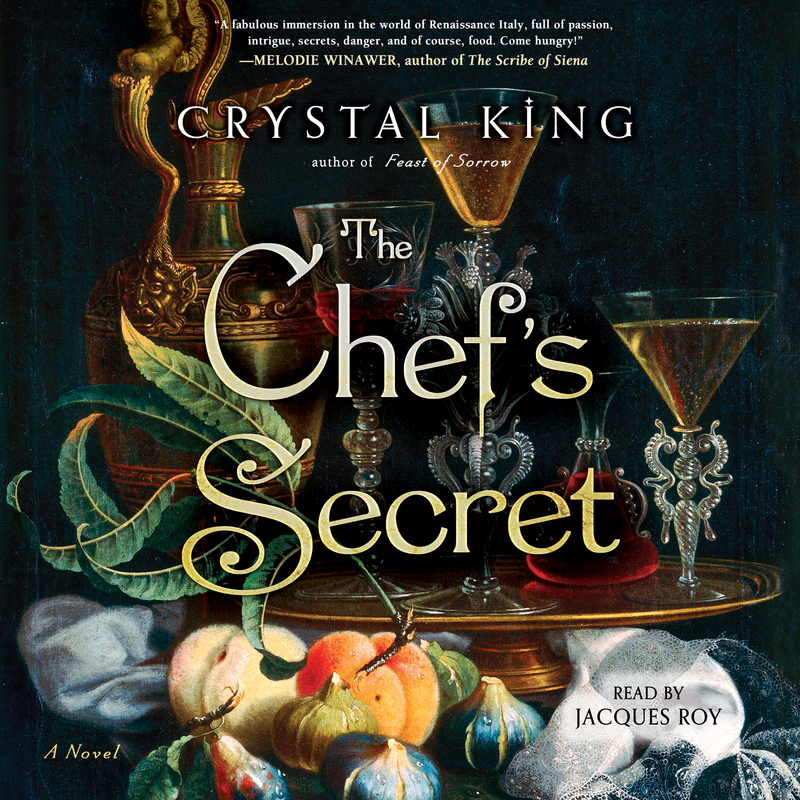 This reading group guide for The Chef’s Secret includes an introduction, discussion questions, ideas for enhancing your book club, and a Q&A with author Crystal King. The suggested questions are intended to help your reading group find new and interesting angles and topics for your discussion. We hope that these ideas will enrich your con- versation and enhance your enjoyment of the book. When famed papal chef Bartolomeo Scappi dies, he leaves his vast estate—properties, money, and his position—to his nephew and apprentice, Giovanni. He also gives Giovanni the keys to a strongbox containing his journals, with strict instructions to burn them. But curiosity gets the best of the young chef, and Giovanni undertakes the arduous task of decoding the diaries, which contain a trove of secrets, including the shocking revelation that Scappi is not Gio’s uncle but his father. More surprising still is the fact that Gio’s mother, fondly nicknamed “Stella” by Scappi, was a noble “princess.” As Giovanni pieces together the sordid details of Scappi’s past, he must also contend with his brother Cesare, who has acted toward him with unbridled malice for as long as he can remember, and Domenico Romoli, a former protégé of Scappi who is determined to get—by any means necessary—the recipes that will allow him to steal Scappi’s legacy and ensure his own fame. Just as Gio discovers that these two rivals have joined forces to conspire against him, a new threat emerges that may tear apart his own romantic relationship. Shaken, but never- theless determined to uncover his mother’s identity, Giovanni and his best friend, Valentino, set off for Venice, where Scappi had first laid eyes on his “star” more than half a century earlier. The lengthy journey proves fruitful as archival records of her first marriage reveal the shocking truth of who Stella really is, and Gio finally comes to understand the decisions made by his parents and the lengths they went to in order to protect what was most important to them. 1. Why did Bartolomeo Scappi first begin to keep a journal? In his last entry, he writes: “All I have done in the last sixty-nine years, I did for two things” (page 14). What are those two things? Why does he keep his journals hidden, and how does he feel about the journals as he approaches the end of his life? 2. How do Scappi and his love, “Stella,” first meet? Why did they have to keep their romance a secret? What obstacles did they face in keeping their relationship under wraps? What would have been the consequences if they had been found out? What does their romance reveal about social class and marriage during this time period? 3. Explore the motif of secrets. Who in the novel keeps secrets and from whom are these secrets kept? Are any of the secrets ever revealed? If so, what are the implications or outcomes? 4. Many of the characters in the novel have a vendetta against someone else or against another family. Why do they have these vendettas? What is a vendetta and why were they so common at this time? What might these vendettas reveal about the cor- responding themes of honor and justice? suggestion was made? Did the suggestion change your view of their relationship? Explain. 6. Consider the theme of legacy. Which of the characters in the novel are concerned with legacy and how do they undertake to secure their own legacy? What do they hope to leave behind and what challenges do they face? Are they ultimately successful in securing their legacy? 7. Why is Scappi often limited in his daily work? Whose teachings does the author say became a threat to the ostentatious way of living of many Catholics of the time? How did these teachings ultimately affect the work obligations for chefs like Bartolomeo and Giovanni? 8. How do the characters respond to the comet they see follow- ing Scappi’s death? What significance do they believe it has? Why do you think they were so struck by it? At the end of the book, the author writes that this sighting was based on a real sixteenth-century event. What discovery does the author reveal that this historical sighting helped to make possible? 9. Why does Gio attempt to hide from Isabetta the journal con- taining his father’s copy of the poem that he found pasted to the statue Pasquino? What happens as a result? What connection is there between Isabetta’s family and Gio’s family and how does Isabetta discover this? How does her family react to this discovery? 10. What do Val and Gio learn when they visit the Libro d’Oro in Venice and what impact does it have on their relationship? Who is “Stella” and how do they respond to the news of her identity? Were you surprised by this revelation? Why or why not? 11. Who was responsible for the death of Giacomo Crispo? Was justice served for his murder? What implications does this have for Giovanni later in the story? How does this contribute to a dialogue about the theme of justice? Does the book suggest whether there is inherently justice in the world? Was there a system of justice within society at the time reflected in the book? Discuss. 12. At first, Giovanni is shocked by the revelations about his father. How does Giovanni come to a better understanding of his father and his father’s choices after the events in Venice? How are the two men alike? What does Gio ultimately decide to do with his father’s recipes and why? Do you agree with his decision? Why or why not? 1. Use the book as a starting place to explore Renaissance culture. How does King’s account fit in with other historical accounts of this time? What does King’s use of this setting reveal about life in Italy during the Renaissance? Consider what the book reveals about social customs, class, and religion, for instance. 2. Giovanni learns about his family—and himself—by exploring Scappi’s journals. Investigate your own ancestry. What did you find that may have surprised you or that allowed you to come to a better understanding of your family or yourself? 3. Have a Renaissance-themed dinner party with your book club. Visit CrystalKing.com to request your copy of The Chef’s Secret cookbook. Invite your guests to bring dishes inspired by The Chef’s Secret and other Renaissance tales or make a few dishes together. Share your creations on social media using the hashtag #TheChefsSecret. 4. Imagine that you are writing your own cookbook. What recipes would you include in the book to be a part of your legacy and why? What do the recipes reveal about you, your life, and the time and culture in which you live? 5. Read the book alongside King’s first novel, Feast of Sorrow. What do the two books have in common? What do the two books reveal about the role and impact of food and the culinary arts throughout history? Your first novel, Feast of Sorrow, was set in ancient Rome. What inspired you to set this novel in Renaissance Italy? Once you start to delve into the world of Italian cuisine, it’s readily apparent that there are a variety of interesting cooks, carvers, and stewards who left behind fascinating accounts of how they created incredible feasts and banquets for the richest families and rulers in Italy. I found Bartolomeo Scappi’s cookbook fascinating. I found that there isn’t much known about his life despite his being one of the most famous chefs in Italy. I loved the idea of imagining all the blank spots in his timeline. Several Renaissance artists have cameos in The Chef’s Secret. Do you have a personal favorite among the Renaissance artists and, if so, can you tell us who and why? Scappi likely cooked for many famous Renaissance artists since their patrons were wealthy cardinals and popes, so I thought it would be fun to include them. I love the goldsmith Benvenuto Cellini the most. His autobiography is a larger-than-life, self-serving, over-the- top read, and one of my favorite books of all time. I also loved the idea of how he decided to document everything he did, even the very sordid parts, like when he killed a man and landed in jail (but was freed because the pope wanted him to create more works for him). He was the inspiration for me to have Bartolomeo keep detailed journals for every aspect of his life, which is why I included him in the way that I did. Bartolomeo Scappi was a real-life chef who lived in Italy during the Renaissance. What challenges did you face in utilizing a historical figure as the central character in your novel? What made him a particularly enticing character for you? We don’t know much about Scappi and it was only recently that we discovered some things such as his place of birth and his will. But we know the people he worked for, and we can piece together a lot from the commentary in his cookbook, L’Opera di Bartolomeo Scappi. I find it fun to connect the dots with what we know and what we don’t know, so in that regard it was like figuring out a puzzle. That said, I found the world of ancient Rome more accessible in some ways than the Renaissance. When it comes to the Renaissance, everyone is obsessed with the art of artists of that period, and there is a dis- proportionate weight given to that topic than there is to the daily life of the Italians. Can you please share with us some of your favorite food writers or cookbook authors? First of all, if you want an entirely different take on Bartolomeo Scappi (set in a time slightly earlier than he actually lived), check out the fantastic Borgia Chronicles by Kate Quinn, in which he is a character. For a wonderful food novel set in Renaissance Venice, I recommend The Chef’s Apprentice by Elle Newmark. And for cookbooks that will give you Renaissance inspiration, check out Francine Segan’s Shakespeare’s Kitchen: Renaissance Recipes for the Contemporary Cook. I also recommend Da Vinci’s Kitchen: A Secret History of Italian Cuisine by Dave DeWitt and Venice and Food by Sally Spector. The latter is an incredibly beautiful and highly readable cookbook that combines history, painting, and food into one volume. Many of the recipes harken back to the Renaissance, and you can still find those flavors today in Venetian homes. M. F. K. Fisher was one of my earliest inspirations to become a food writer. If you love reading about food and culture, her books are must-reads. If you were writing a cookbook with the intention of preserving your legacy, what are one or two of the recipes it would contain? What might these recipes tell us about you and your life and times? There are so many! My grandfather’s mayonnaise sugar cookie recipe is a must-make at Christmas. I make tortellini soup in the winter, which is especially good when my husband or I feel sick. The ancient Roman dish Parthian chicken, which is featured in Feast of Sorrow, was one of the first historical dishes I ever made. We still make it for dinner regularly (find the recipe on CrystalKing.com). And one of my dear friends, famed Boston bartender Todd Maul, named a starry gin and elderflower drink after me, the Crystal, and has served it in his bars for the past decade. How did the experience of writing The Chef’s Secret compare to your experience writing Feast of Sorrow? I was struck by how much easier it was to write the second novel, simply because I felt like I sort of knew what I was doing this time around. 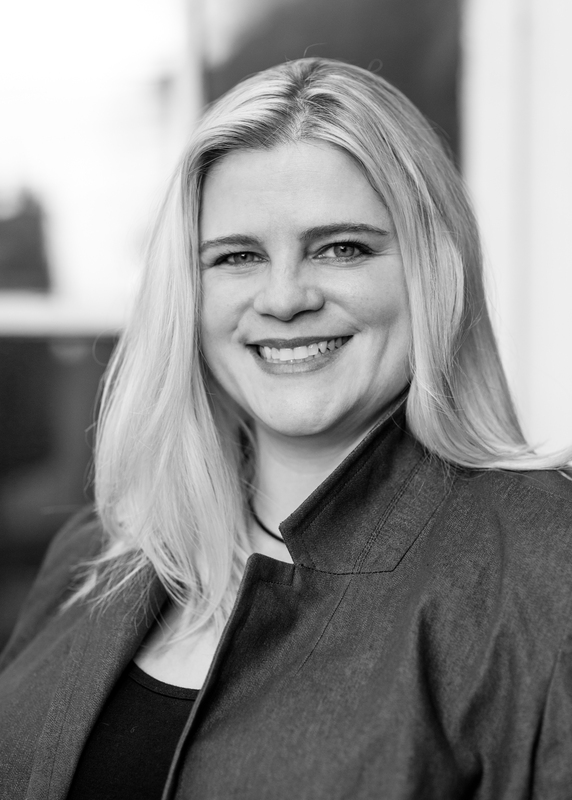 The first novel is hard because it’s so new and you are still figuring out the ups and downs of plot, and don’t really have a sense of what will eventually need to be cut, or which characters aren’t really working until you’ve spit it all out on the page. With this second book, I had a sense along the way that I should keep an eye out for little things, like cutting excessive adjectives, managing dialogue tags, and creating characters in such a way that it would save me loads of time on editing later. I did, however, find research to be a little harder, as I mentioned in a previous question. Italian Renaissance texts love to focus on the art. I think if I were researching the Tudors or other areas in the same era, it might have been a little bit easier. Also, there are less artifacts of the time when you go to museums—it’s all paintings and sculpture vs. pottery, furniture, and the more mundane trappings of Renaissance Italian living. As you were writing the novel, what most surprised you about any one of the characters? Salvi was a surprise. He just showed up and made himself far more useful than I might have expected. To me that’s one of the most amazing things about writing, when your subconscious just yanks characters and actions out of your head and slips them into the story. As a reader, who are some of the storytellers you find most inspiring and why? Stephen King was one of my earliest influences. The way he tells a story is riveting from beginning to end. He is a master storyteller. Italo Calvino is another favorite—his stories are dripping with beauty and wonder. I will also read anything that Catherynne Valente writes. The worlds she builds are ones from which I rarely want to leave. There are rumors that you have already begun writing your third book. Will there be another culinary theme? Have you already chosen a setting? Can you give us any hints? The rumors of my third book are well founded. In fact, as I write this, I’m getting ready to visit Bologna, Ravenna, Urbino, and Rome, all of which are the backdrop for my next novel, also set in the Renais- sance. And yes, of course, there will be lots of food! Have you ever explored your own ancestry? Was there any- thing interesting that you learned that you weren’t expecting to uncover? I have. There are a whole bunch of crazy things in my ancestry, including two ancestors on the Mayflower and a line that can nearly be traced back to Charlemagne. One very interesting thing I discovered was that my thirteenth great-grandfather was Francis Bryan, the best friend to Henry VIII and the betrayer of Anne Boleyn. He was also a contemporary of Scappi’s, whose employer, Cardinal Campeggio, was the man who was the legate to the court of Henry VIII and one of the men who arranged for Henry’s excommunication from the Catholic Church. That means Bartolomeo’s boss likely knew my very great-grandfather. What a small, small world, right?